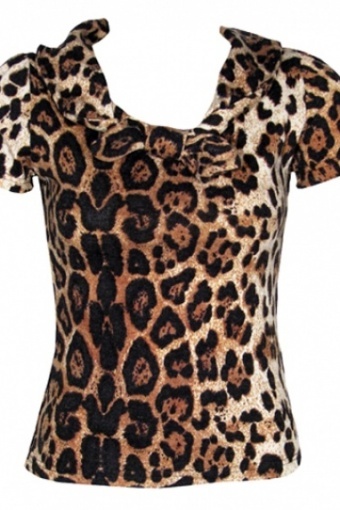 Jane top Leopard from Collectif. This must-have basic gives your outfit that certain vavavoom effect! Made from a stretchy wooly knitted fabric (coton). This short top is as comfortable as it is cute! 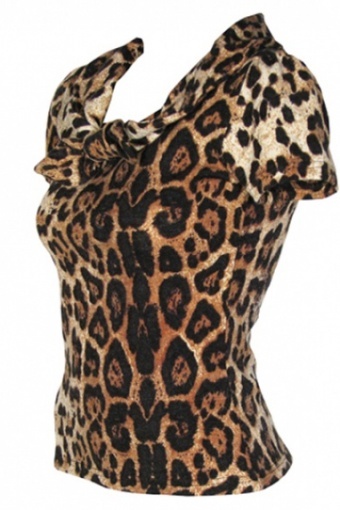 It can be worn with jeans, or tucked unto a pencil skirt for a truly classic vamp look. 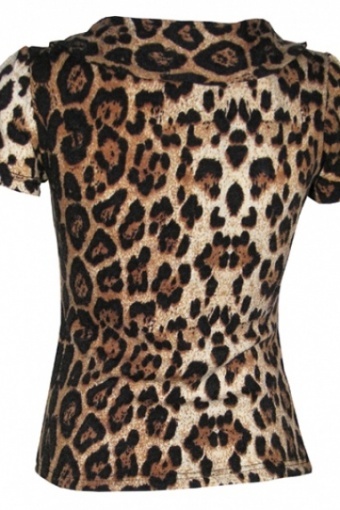 Features include a fitted silhouette and a cute tie attached on the collar. Model wears our Hilda pencil skirt.